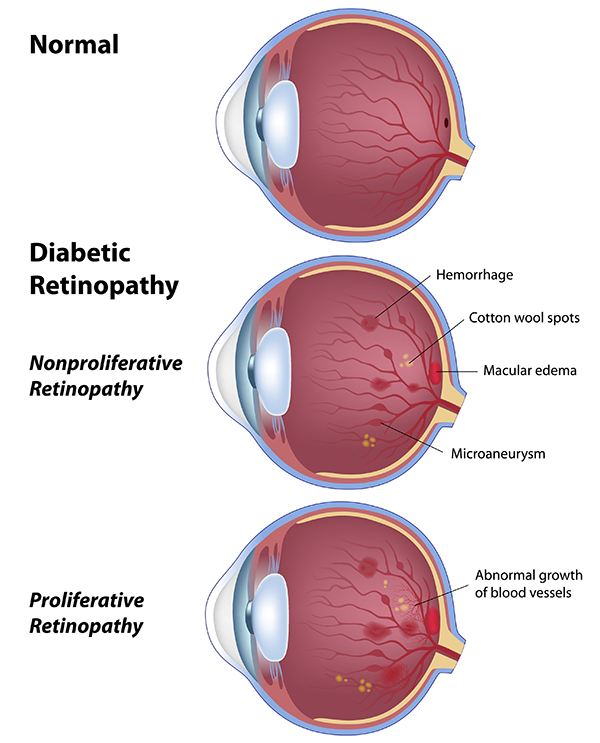 A comprehensive eye examination by an ophthalmologist or retina specialist is the only reliable means of detecting diabetic retinopathy. After the pupil is dilated, a device called an ophthalmoscope is used to view the retina and determine the extent of the retinopathy. If diabetic retinopathy is discovered, a fluorescein dye test and/or optical coherence tomogram (OCT) may be recommended. A fluorescein angiogram involves the injection of a dye into a vein in the arm followed by several minutes of intermittent photos with a special digital camera focused on the retina. An OCT is a non-invasive photo that creates a detailed cross-sectional image of the macula.